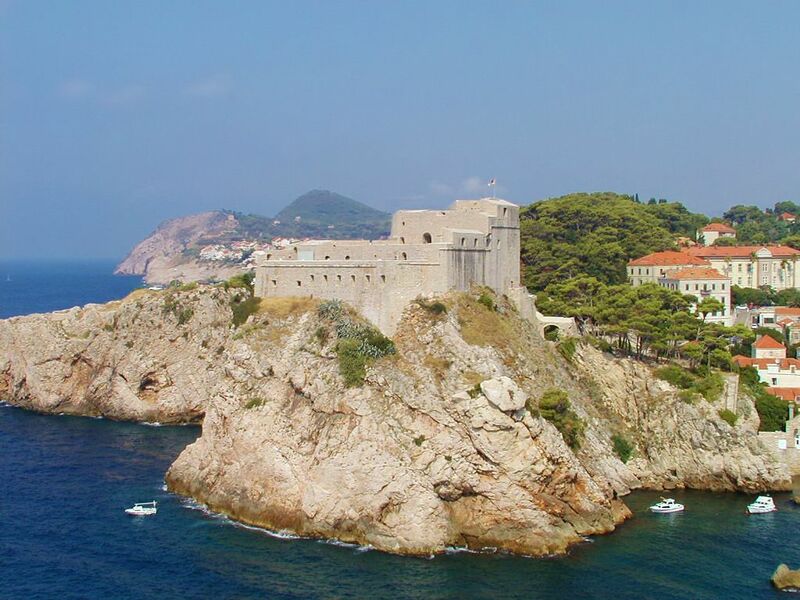 The fortress is actually part of the famous Dubrovnik city walls but because this imposing stronghold stands separately from the walls, many people think it cannot be visited. It can and is included in the standard entrance ticket for the walls. Accessed by climbing steps by the bus stop at the Pile Gate entrance. Fabulous views from the top of Lovrijenac of the Pile Gate and Dubrovnik old town. Every year, during the summer festival (July-Aug) there are performances of Shakespeare in the open air theatre at the top. Dame Judi Dench famously played here. The fort also features as the Red Keep in King’s Landing in the popular Game of Thrones series. Sometimes written “Lovrjenac” or “Lovrenac”). Despite the unusual title, this is a museum and a rather special one since it brings modern day wars into our own lives and perspectives with a superb collection of photographs depicting various conflicts and wars around the world. These are shown on the ground floor and the exhibition there is a regularly changing one. 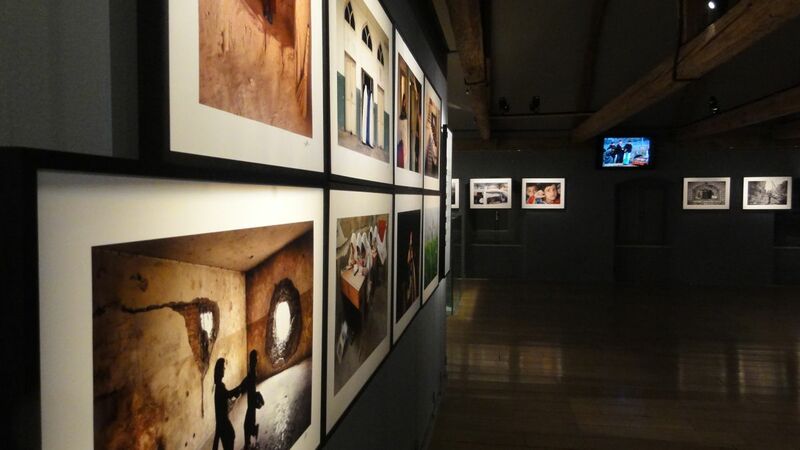 The first floor has a permanent exhibition dedicated to Dubrovnik’s own recent history. Located just off Prijeko Street which runs parallel to Stradun and is often called “restaurant street”. Photos and short clips of film are evocative: the effect on everyone will be different. In Croatia a “konoba” was traditionally a local, often family-run restaurant, sometimes with a limited menu yet usually featuring traditional, home-cooked food. Think bistro in France, trattoria in Italy or taverna in Greece. Nowadays, konobas often serve better fare than places with “official” restaurant status. Bosanka is a tiny, pretty hamlet on the hill above Dubrovnik, about a 20 minute walk from where the cable car arrives in Srdj. Fitness lovers can walk up the steep steps and narrow road from Dubrovnik (allow at least one hour), you can drive up, or take the local bus which runs around nine times daily. The Konoba is a gorgeous rustic local stone and wood building with a glorious terrace set among pasture and pines. Specialities include local spit-roasted lamb and flat bread. In 2013 it was featured positively in the Jamie Oliver magazine. Always cooler up there, it’s a great way to escape the summer heat and crowds of Dubrovnik and often sheep and chickens are wandering around. Good idea is bus one way and cable car the other. Just 25 minutes by local bus or 45 minutes by boat taxi from Dubrovnik, the little waterfront town of Cavtat is a popular spot for a day away from the city, for a walk up through the woods to the imposing Racic mausoleum (wonderful views from the top) or lunch by the sea. Many people aren’t aware that the seabed near Cavtat is rich with Roman amphora – in fact, this is probably the best spot in the south of Croatia for divers and snorkelers to see them. Under 30 minutes north of Dubrovnik on the main coastal road lies the small village of Trsteno. The 16th century Renaissance arboretum is the star turn here. Many organised tours stop here for a short time (although at over 25 hectares the place is never crowded). 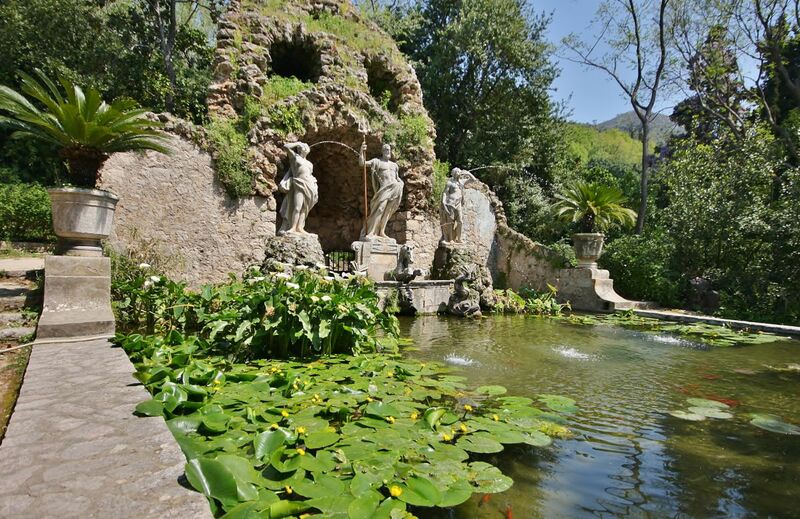 Stay longer and there are lovely spots for a picnic including overlooking the sea, hidden green areas and by the beautiful water garden with a grotto, pool and trickling stream. The cliff-top location is stunning and was probably the reason why the Gucetic family chose the spot for their Renaissance villa (open for visits and included in the entrance ticket). There is a 500 year old plane tree and hundreds of plants and trees from all over the world including Japan and Mexico (all labelled), which started life as seeds brought by Dalmatian sailors returning from their travels. The Arboretum has survived shelling from the sea in 1991 during the Homeland War and also from occasional forest fires. 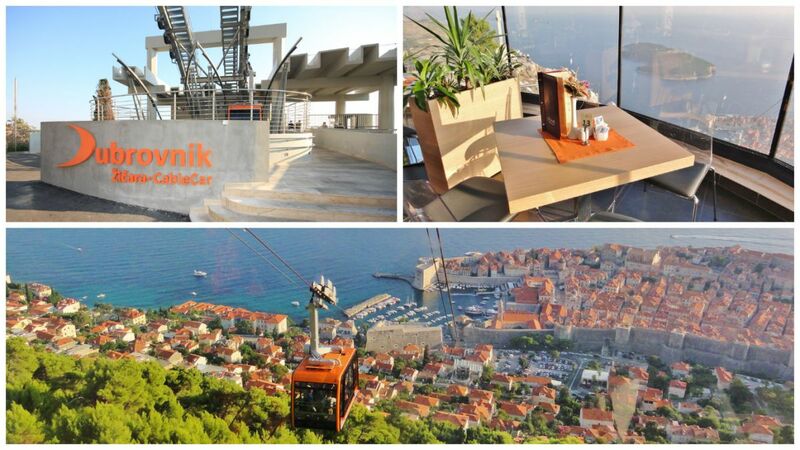 Today it reflects the sophisticated lifestyle of Renaissance Dubrovnik. If travelling by local bus from Dubrovnik, ask the driver to stop or he might drive straight on! Without doubt, the best panoramic views of the old city are from above. 778 metres above to be precise and right next to the Imperial Fortress built in the early 19th century, a strategic move because on a clear day, you can see across the Adriatic Sea for around 37 miles. Originally built in 1969 to carry people to Mount Srdj in around four minutes. The cable car was reopened in 2010 after a multimillion Euro re-furbishment to a much awaited welcome. There are two levels and the upper level is where most visitors head – there are three terraces, a restaurant and cafe, a souvenir shop and a purpose built amphitheatre which is perfect for special events and especially spectacular for weddings. Return trip costs around £13. Although Dubrovnik is always considered as a place of culture and heritage, it is – surprisingly – one of the best places to try sea kayaking. Starting out from the beach near the Pile Gate, there are various excursions including half-day trips. Led by a guide, the kayaking usually includes circling pretty Lokrum island, continuing along the coast to small hidden beaches beyond the Ploce area of town where there is usually a stop for a rest and a drink. The outstanding aspect of sea kayaking here is that you have a view of the old city and the walls from several directions from a unique sea perspective. 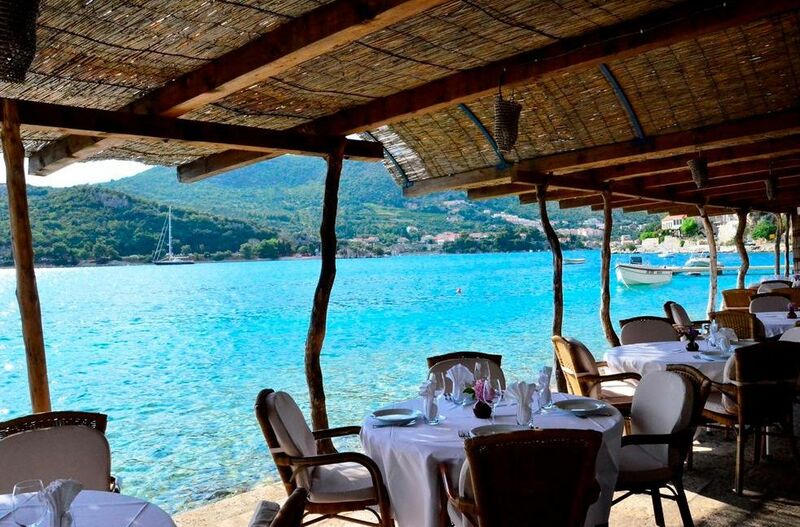 Just seven kilometres west of Dubrovnik on the main Adriatic road, this famous, family-run, seafood restaurant opened in 1966 set in a stunning location, carved into a hillside overlooking the Zaton Mali bay where local noble families traditionally had their summer residences. It is “an upside down” place and you enter down steps. The outdoor terrace is a stone quay where your table is literally a matter of paces from the sea. There is an outside shower, so you can go for a dip while your meal is being prepared (many people do so take a towel). Although very popular with locals (especially at weekends), famous visitors have been spotted there including Princess Caroline of Monaco who arrived on her yacht which moored at the quay. Black Risotto here is like nowhere else and includes shrimps plus four other types of shellfish. Motar Salad is GO’s signature dish, made from plants that grow in sea rocks. There is an excellent wine list featuring some wines chosen exclusively by the restaurant. A cave dating back to the Bronze and Iron Ages sits right under the approach to Dubrovnik Airport’s runway and was reopened a few years ago. It served as a shelter for local people during the Homeland War in 1991 and contains impressive archaeological relics and some beautiful stalagmites and stalactites. Staying on the subject of caves, one of the most interesting bars in Dubrovnik is actually in a sea cave. Located on the lower level of the five star Hotel More on the Lapad peninsula, this original sea cave was discovered when the hotel was excavating an area out to the beach front. There are stalactites and stalagmites and all the original rock is exposed. Cleverly converted into a stylish bar-lounge on two levels with seating, there is also a glass floor in one area with the sea visible below and a little circular room with candles, a distinctly romantic spot. Access “Spilja” (Croatian for “cave”) by the direct access from the lungomare seaside promenade or by entering the hotel and taking the lift down.